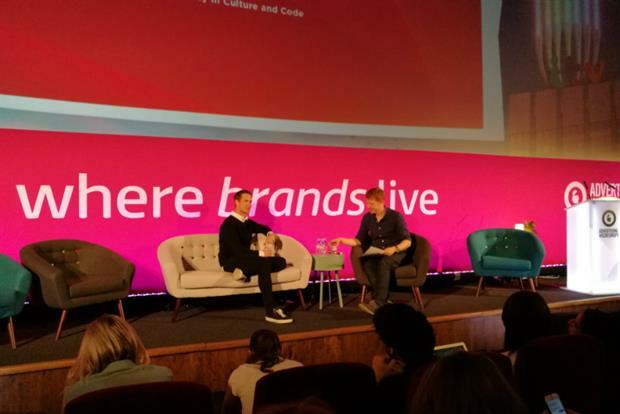 LONDON — Snapchat made its first public pitch to British advertisers at Advertising Week Europe Tuesday, with its vice president for content, Nick Bell, making the case for shorter ads on mobile. Bell argued that user attention spans on mobile "are much lower," and that a brand could just as effectively convey its message in a five-second, or even two-second, spot as in 30 seconds. "This concept of watching to completion is something that has been overplayed in the marketplace," Bell said. "Just because I create a 30-second TV spot doesn’t mean that’s the optimum amount of time for a user to view that content." He added that this was already apparent in Snapchat’s tests both with advertisers and its publishing content partners. Snapchat’s bread and butter is, of course, the super short video, or "snap." Snaps can be a maximum length of 10 seconds, though multiple snaps can be woven together to make a longer Snapchat Story. Up until recently, video ads were also capped at 10 seconds, though Snapchat has lifted that restriction for certain brands. In January, Snapchat showed longer trailers from Paramount, Fox and Universal to viewers who "swiped up" on a branded snap. Bell also expressed bafflement at agency and brand obsession with viewability, which only tracks impressions that can actually be seen by consumers. "The concept of viewability has always fascinated me," he said. "It’s strange, because our ads take up 100% of the screen, so they are always viewable. But we bowed to the agencies and brands and we now offer solutions to validate viewability." Snapchat is coy about its ad rates, only saying that earlier reports that it was charging brands $750,000 per ad were incorrect. Bell said there was a "misconception" that Snapchat was expensive, but only said ad rates were in the "tens of thousands [of dollars]." A sponsored geo-filter starts at just $5. Another misconception is that Snapchat’s user base is primarily made up of tweens. Two-thirds of the audience is over 18, according to Bell, while 15% of its daily active users are over the age of 25. "It’s a misconception that it’s a very young audience," he said. Bell, who formerly oversaw digital products at News International, also revealed that the Sun newspaper would be joining Snapchat’s Discover platform for publishers. Can Droga5 make "shmorange" happen?